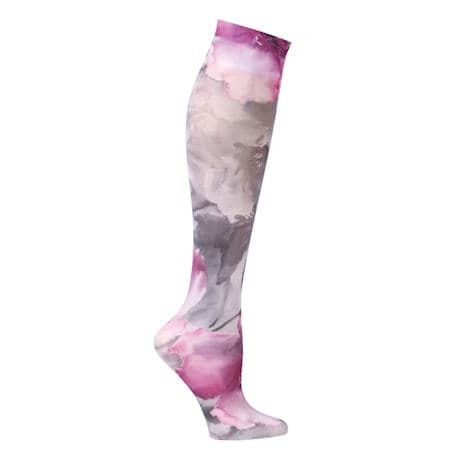 Printed Compression Knee Highs have graduated compression and are perfect for everyday wear to alleviate swelling and fatigue while improving circulation. Nylon/spandex blend. Machine or hand wash. One size fits most shoe sizes and up to 17" calf. Imported; Printed USA. 8-15 mmHg.